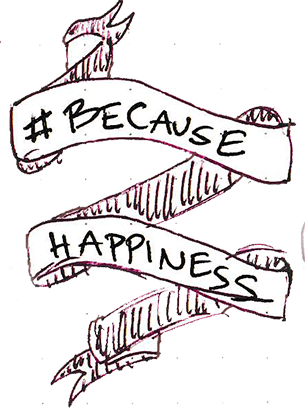 This year, my hashtag of choice is #becausehappiness. Instead of writing a list of resolutions, I’m going to learn about and share things related to happiness. I like this way of doing things. It works for me. Granted, for my hashtag last year, #yearofbeautiful, I didn’t put together as many posts as I envisioned in January, but, hey! I made it through the year with it and that’s far better than most resolutions I’ve made. I’ll go more in depth on my plan for this year below, but first, a brief tangent about resolutions. Don’t talk on the telephone too long. 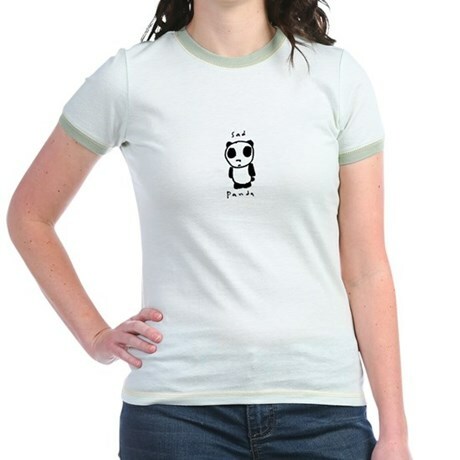 Be nice to all my friends. Don’t show off like …name deleted. Did you record any of your resolutions from when you were a kid? The first list I put down in a journal was when I was 12-years old. It is not a short list. It’s a list that, for some reason, is embarrassing for me to share with others, but whatevs. Here it is… my resolutions for the year 1993 and for my lifetime (because I came up with those, too). The actual journal entry is several pages. I turned it into a much-abbreviated list. You’re welcome. Play another [piano] piece by [Edward MacDowell]. Practice doing Keorver (sic) methods in [soccer] games. Sculpt a head or body. Complete some Personal Progress thing. Draw blueprints for my own house. Live to the year 2050. Okay, on to this year’s plan. 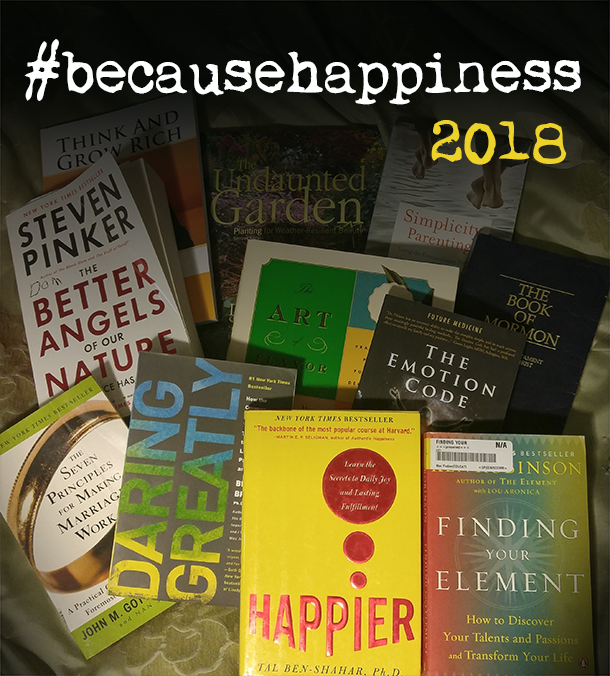 I dub 2018 my year for #becausehappiness. I created a reading list. I’m really very talented at starting and not finishing books. I’ve given myself permission to substitute or ditch a book once I get into it. Some of these books, I’ve read before (partially or complete), others I only have a vague idea of the content. Have you read any? I made a #becausehappiness reading list on Amazon if any of these pique your interest. I also wrote up my little plan in my journal. As the year goes on, I may substitute for a different book. We’ll see how it goes. 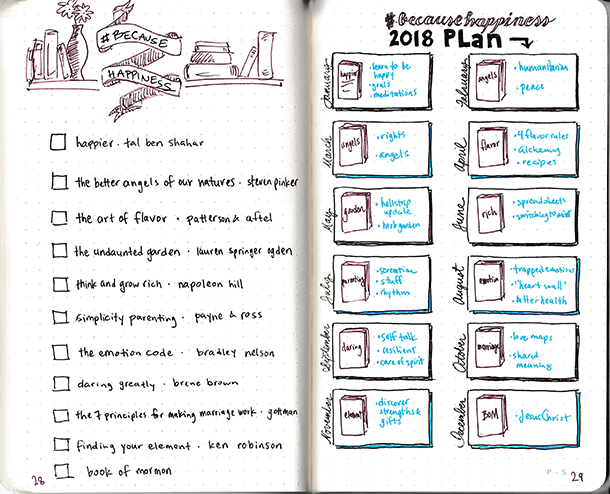 Today, I started reading Happier, which is a book-version of one of the most popular classes at Harvard. In other words, for January, I’m enrolled in a Harvard class (at a discount!). Anyone want to read it with me?